Chrysoprase is such a pretty shade of green. 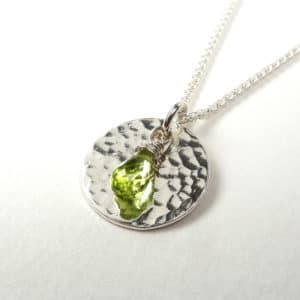 This pendant will brighten up any neckline. 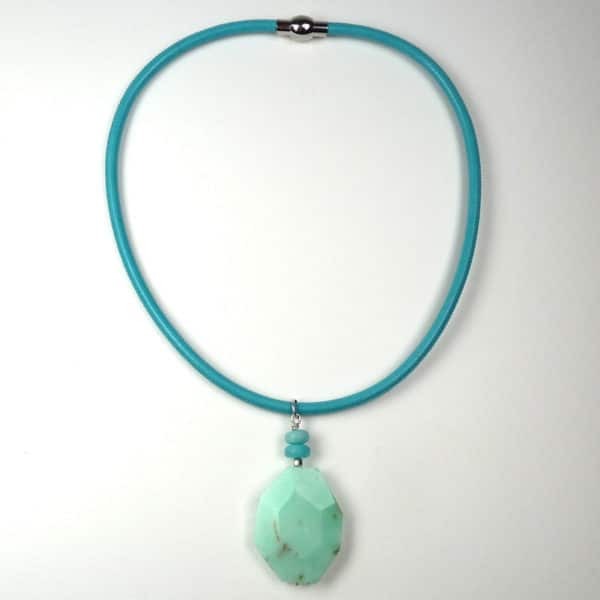 The pendant is a faceted slab of chrysoprase measuring 40mm x 30mm approx. 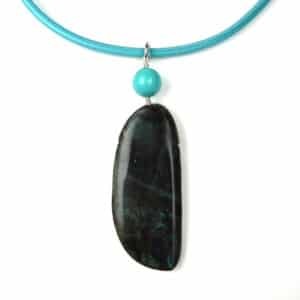 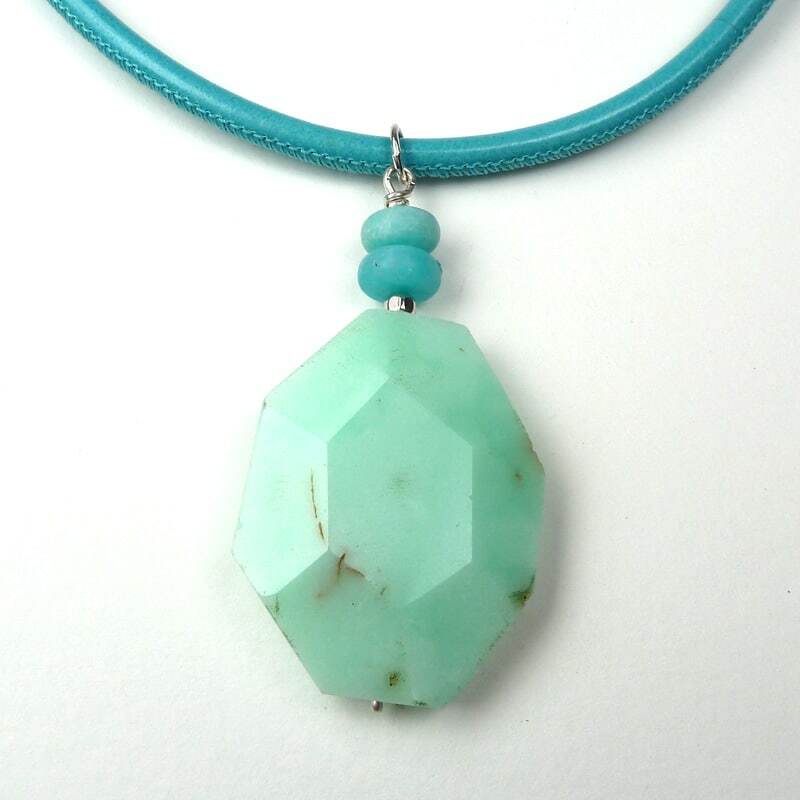 It drops from matt amazonite beads and the necklet is made of stitched leather with a stainless steel magnetic clasp. 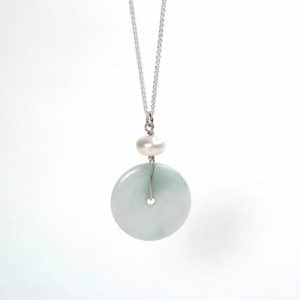 Length of necklet when laid out flat: 18.5 inches. 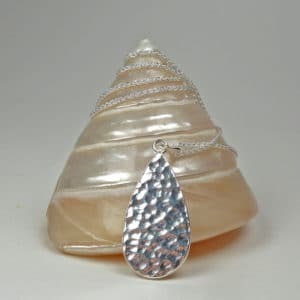 Pendant drops 60mm from centre of necklace.